It was great to see so many of you at our Annual Meeting. We were especially thrilled with the presentation of Grant Lichtman, a renown education speaker and author, which was made possible in partnership with the Joint Management Team of our BOCES. We hope his thoughts sparked some ideas and conversations on how you may be able to “move the rock” in your districts. And Congratulations again to our 2018 Board Members of Achievement Peter Bush, Mike McCole, Julie Boles, Tom Taylor, and Casey Browse for their well deserved recognition. We are excited to open up our School Board Presidents and Vice Presidents Roundtables in an effort to offer programs covering topics of interest, concern, and usefulness to all CNYSBA school board members. Moving forward, we will organize three such gatherings throughout the school year to foster professional development, networking and relationship-building opportunities for our members. The program of this Roundtable will feature Dr. Mary Coughlin, Assistant Superintendent for Curriculum at the Fayetteville-Manlius school district. She will be presenting on her recently-completed doctoral dissertation that examines the beliefs of school board presidents from the CNY region about how boards develop the capacity to work together to create results. This will also be a great opportunity to tour our new offices and conference facilities that CNYSBA now shares with the Manufacturers Association of CNY and Partners for Education and Business. Please RSVP through your district office no later than Monday, April 2nd to Renee Stone at rstone@cnysba.org or 315-463-1904. Refer to our Advocacy Toolkit and Social Media Tips. CNYSBA listened to your desire to again convene a program where school board members and superintendents could have personal interaction with their state legislators during the NYS Budget process. This small group setting is specially designed for school board members, superintendents, and selected district leadership team members. What is the forum format? Welcome remarks by the district superintendent, a brief overview of the budget proposal, ample time for a facilitated discussion between you and your state legislators. Prepare questions, statements, materials that would educate legislators on the specific needs and key issues in your district. Thank you for attending CNYSBA’s final Board Presidents Roundtable of the 2016-17 school year! A group of over three dozen school board presidents, vice presidents, superintendents and Business Partners participated in an insightful and highly informative program that explored the ever-growing challenge of student mental health needs. The presentation, “Exploring the Mental Health Crisis in Education” was led by two OCM BOCES staff members: Jennifer Spong, Assistant Superintendent for Instructional Support Services, and Penny Williams, Youth Development Coordinator. Over the course of two hours, attendees took part in a multi-media, interactive program that not only outlined just how critical student mental health issues have become, but also provided insights into what school board members and school district administrators and staff can do to better recognize many of the the causes and symptoms of mental illness as a way of helping students who are in need. 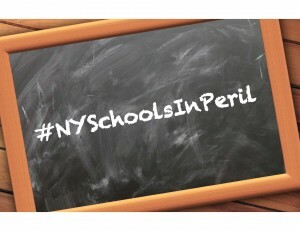 Given the interest and importance of this issue, not to mention the quality of the presentation, CNYSBA has begun to look into holding this event for all school board members and superintendents during the next school year in other parts of our eight-county region. Follow state budget news and find out what they mean for public schools! Thank you to everyone who came out to our 40th anniversary celebration! Browse through our picture gallery below. Click on a picture twice to enlarge. Ann Wright, who is a 29-year veteran on the OCM BOCES Board. We were excited that Ben Carroll was able to join us as well. Ben was a driving force in founding CNYSBA in 1976. He was a board member for the Cazenovia school district and OCM Boces as well as president of OMSBA.